Holder pivots and rotates to position handshower at desired angle. Coordinates with Loure® and Stance® faucets and accessories. Bancroft accessories capture the elegance of early 1900s American design with their traditional and enduring style. This hand towel holder provides practical storage while lending a classic touch to the bath or powder room. With smooth, graceful lines and curves, Fairfax brings elegant style to your bath or powder room. This combination tumbler and wall-mounted metal holder saves valuable space around your sink and reflects the timeless design of Fairfax faucets and accessories. Loure Wall-Mount Metal Handshower Holder In Polished Chrome The Loure handshower holder perfectly complements any contemporary bathroom design and works well with the Shift Square handshower to add functionality to the bathing space. With wall mount installation, this holder brings your handshower conveniently close, allowing you to target water to specific areas of your body. 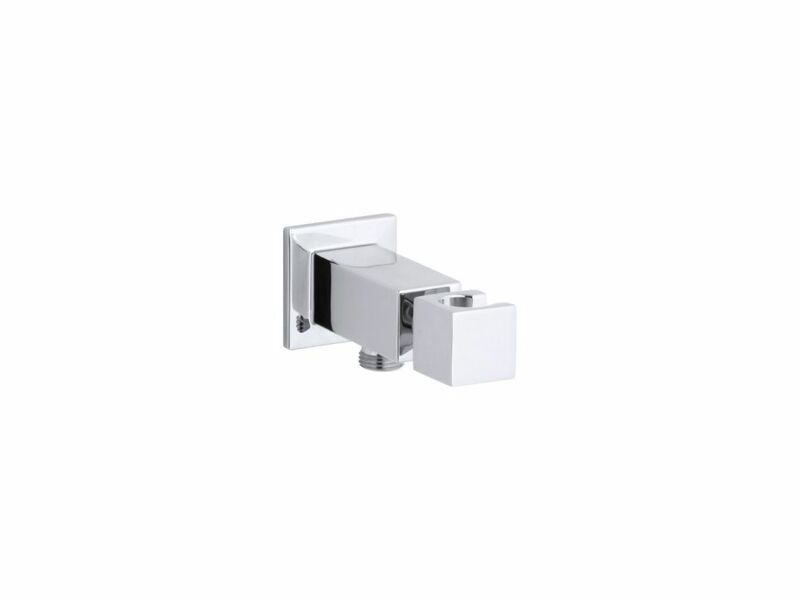 Loure Wall-Mount Metal Handshower Holder In Polished Chrome is rated 3.0 out of 5 by 2. Rated 5 out of 5 by Ijuander from It’s beutifu, solid build and looks like a million bucks.... It’s beutifu, solid build and looks like a million bucks. Very happy with it. Easy to install. Rated 1 out of 5 by cloe from I find it hard to believe that they don't include connector hose but also no way to hang up the h... I find it hard to believe that they don't include connector hose but also no way to hang up the handshower without purchasing a wall mount for $125? !